WASHINGTON, DC, April 25, 2012 (ENS) – The U.S. Environmental Protection Agency is offering up to $20 million in competitive grants for projects that reduce emissions from older diesel engines. This is the first grant competition since the Diesel Emission Reduction Program, or DERA, was reauthorized by Congress in 2011. In addition to these federal grants, $9 million will be available for clean diesel projects through direct state allocations. The grants are intended to inspire strategies for reducing air pollution from the existing U.S. fleet of diesel engines, improving air quality and public health. The EPA estimates that for every $1 spent on clean diesel funding up to $13 of public health benefit is realized. “Technology has evolved to make diesel engines more efficient and cleaner than ever,” said Gina McCarthy, assistant administrator for EPA’s Office of Air and Radiation. Nearly 11 million older diesels are still operated on U.S. roads. Today, the EPA has standards in place that make new diesels more than 90 percent cleaner than earlier technologies. But older diesels that predate these standards still emit clouds of air pollutants, such as nitrogen oxides and particulate matter. These pollutants are linked to health problems, including asthma, heart and lung disease, and premature death. The EPA’s National Clean Diesel Funding Assistance Program awards funding to support strategies such as emission control and idle reduction technologies, cleaner fuels, engine upgrades or replacements, and vehicle or equipment replacements. Projects utilizing aerodynamic technologies and low rolling resistance tires can also receive grants. Under this program, funding is restricted to the use of technologies, fuels, and engines that have been verified or certified by the U.S. EPA or the California Air Resources Board. States, tribes, local governments, and nonprofit organizations are eligible to compete for these DERA grants. Projects can reduce air pollution from older school buses, transit buses, heavy-duty diesel trucks, marine engines, locomotives, and other diesel engines. In the 2011 DERA grant program, for instance, the American Lung Association of the Upper Midwest was granted $1.3 million to reduce diesel emissions from 331 vehicles using retrofit, repower, and replacement strategies. Also in 2011, the Bay Area Air Quality Management District won a $1.5 million grant to replace 43 on-road, heavy-duty trucks operating around Port of Oakland, California. Diesel engines are durable, fuel efficient workhorses, says McCarthy. By targeting projects that utilize the most cost-effective clean diesel strategies, the DERA program can extend their useful lives for decades. 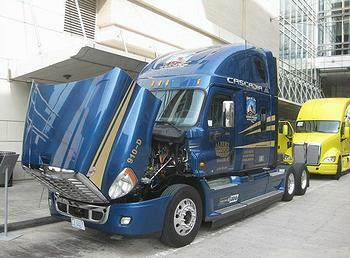 The Diesel Emission Reduction Program was enacted in 2005. Since it was first funded in fiscal year 2008, EPA has awarded over 500 grants that have reduced hundreds of thousands of tons of air pollution and saved millions of gallons of fuel.